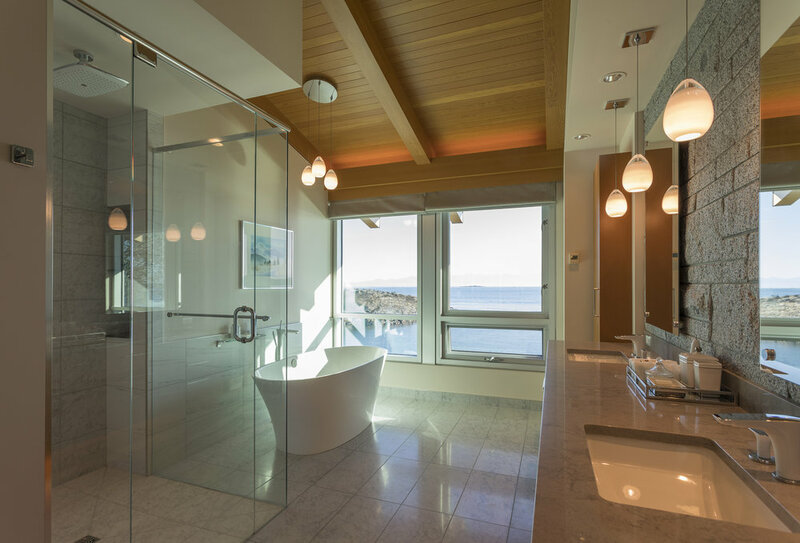 The Ten Mile Point residence is located on an oceanfront property in Victoria, BC. The home overlooks a small island immediately offshore and beyond to the Salish Sea and the Olympic Mountains of Washington State. The design of the home responds to a number of environmental and social aspects. These include a building form that works with the non-rectangular shape of the site, preserves the native rock outcrops, making the most of the stunning views, and providing for protection from strong winds and having controlled sun exposure. In a social sense, the home is intended to be a gathering place of a vibrant extended family at the same time a comfortable home for two. There are active and sitting areas on the broad south shoreline, as well as protected retreat spaces among natural rock forms and native grasses on the non-ocean side. 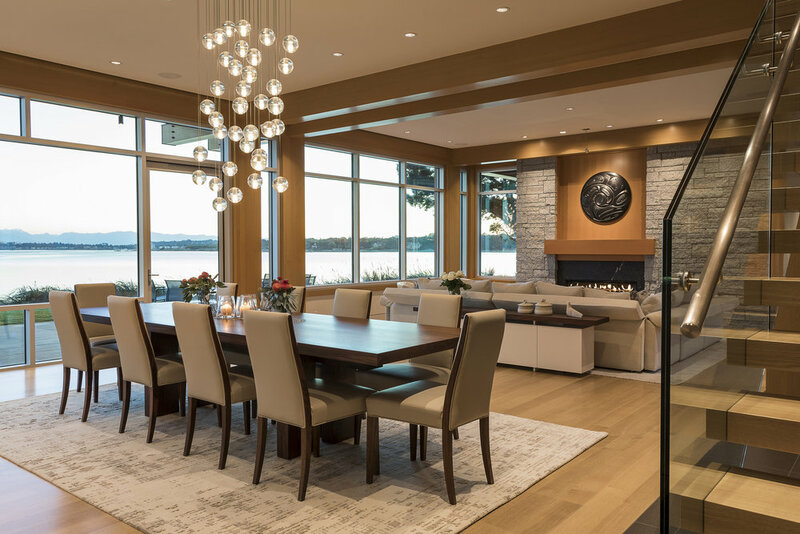 Inside the home, the design provides large open areas for social gatherings, comfortable-sized spaces for family functions, and smaller personal sanctuaries. 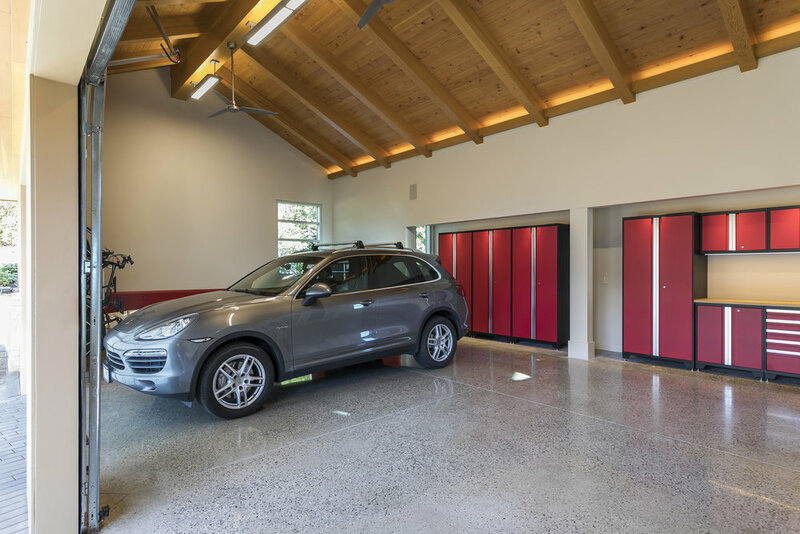 It is a true post and beam structure, constructed to the highest level of quality, using natural materials, including local granites and marbles, as well as many native species of wood. The balance of areas—of large and small spaces, both inside and out—offers a variety of living experiences for the family to enjoy on the property. 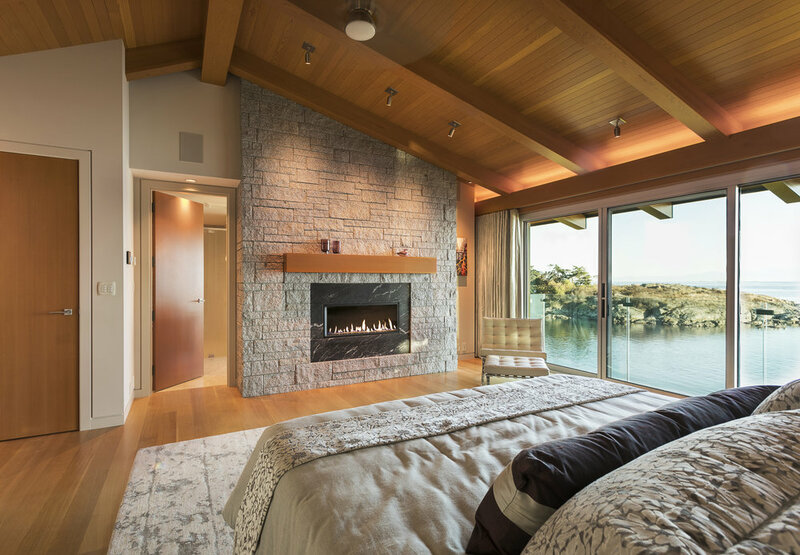 The Ten Mile Point Residence, designed in a West Coast contemporary fashion, feels both modern and handcrafted at the same time.